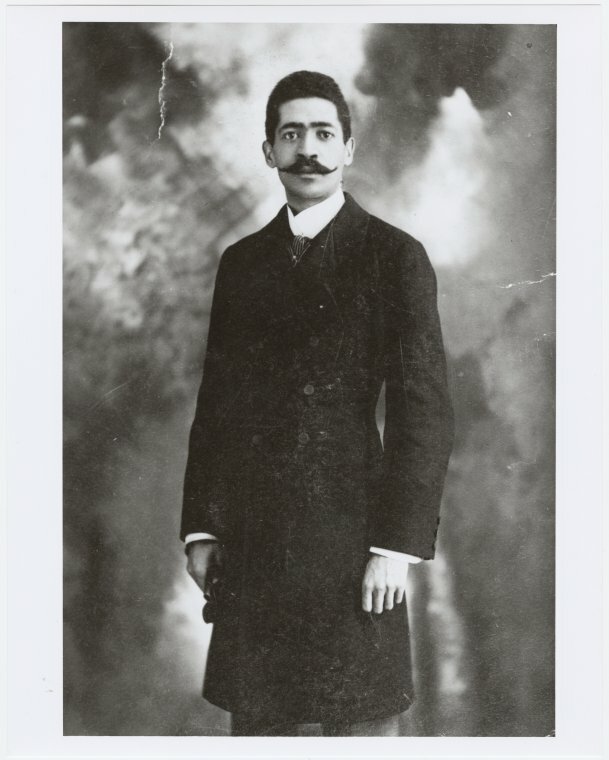 Learned in the traditional Classical style, Will Marion Cook “brought the skills of a classically trained musician to an African-American musical theater” (Crawford, 534). Cook heavily inspired and popularized black theater productions, and made a name for himself by combining grand opera traditions with black folk culture. “I’m Coming Virginia” was written in 1926 by Donald Heywood with lyrics by Cook. The song has been adapted numerous times over the years and is now a staple in dixie-land repertoire. One recording of this song appears on an album by Bing Crosby and Louis Armstrong called “Havin Fun”. Recorded from 1949-1951, this two hour album features songs by Crosby and Armstrong recorded from Crosby’s radio program. What I find most intriguing is how the theatrical style of the album echoes that of Will Marion Cook’s original theatrical music and productions. The first track “Where the Blue of the Night” is all banter between the musicians as they settle in for the night. The first track helps to set the scene for what one can imagine was a program filled with laughter in and out of the music. I think it is a bit of stretch to say that Crosby and Armstrong were performing in this style as an homage to Cook, but I do think that Cook’s works heavily influenced the looser performance styles heard on this album. Crosby and Armstrong were close friends outside of the performance hall, and they both recognized the value created in sharing their friendship with others. Like Cook, Crosby and Armstrong did away with a traditional form of musical presentation. The constant banter mingled with the audience laughter adds a level of genuineness to the album, while the talent of singing and playing by Crosby and Armstrong respectively grounds the album in legitimacy. As mentioned earlier, Will Marion Cook had a huge influence on the Broadway performance styles of his time. Crosby and Armstrong experienced similar success and influence on their industries. While Cook did not directly influence the duo, parallels in the theatrical performance style are evident. One thing that they also have in common? They were havin’ fun. Havin’ Fun. Recorded June 20, 2007. Storyville, 2007, Streaming Audio. Accessed October 9, 2017. http://search.alexanderstreet.com/view/work/bibliographic_entity%7Crecorded_cd%7C1023638. This entry was posted in Morgan May and tagged Bing Crosby, jazz, Louis Armstrong by Morgan May. Bookmark the permalink. Cool find! 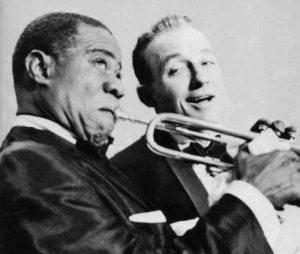 One additional aspect of this to consider: what it meant for Louis Armstrong and Bing Crosby to record together in 1950, when most of the recording industry was still sharply segregated and when Louis Armstrong was about to start advocating for Civil Rights causes.